It was like someone had removed my heart and left an empty space. I never had experienced anything that was so utterly devastating. 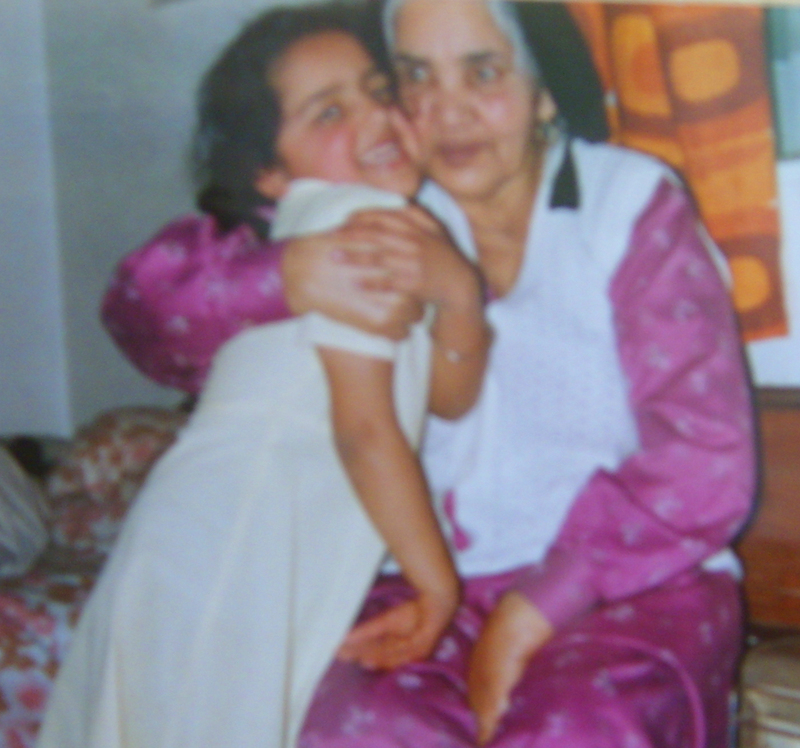 I lived with my Bibi-g (my nan) my whole life. In her last decade she suffered from Alzheimer’s and our roles reversed. I helped to take care of her along with my mum. On Christmas day 2010 Bibi-g bid her final farewell. This is my memory of that day. I was slightly delirious with the flu. I had spent most of the day half asleep but I remember looking at Bibi-g and something wasn’t right. I helped her drink water and gave her some cough medicine but her body was so heavy, more than usual. She was already going. At one point while she was lying down she lifted her arms and called out for her father, “Bapu-g”. The signs were there. But how do you admit to yourself that someone is dying in front of you? I don’t remember a time when Bibi-g wasn’t a part of my life. When I started hitting adulthood Bibi-g’s Alzheimer’s started to settle-in which meant I spent a great deal of time with her. One of my most cherished memories was when I used to comb her hair. It’s the simple things that bring you close. I knew it was her time to leave when it finally did happen. Bibi-g passed-on in her own bed, at home, like she had wanted to. Mum and I were both present. She had wanted us to be with her and so it was. I was in bed, not really asleep when I heard my mum call out, “Bibi-g, Kamalpreet, Bibi”. The tone of her voice said it all. The world had changed for our little family of three, for now there were only two. I came into Bibi-g’s room and she was lying there with her eyes open, her skin was cold. Her journey had finally ended after a long goodbye. The loss of parent changes your view of the world. I almost didn’t write this post as it felt to close to home but now I am glad that I did. Kam, I felt your pain when you first told me, and I feel your loss again as I read this. It reminds me of how I felt when I lost my Aunt. Nothing can prepare you, but time heals so much and the memories keep us going.